Did you know that tomorrow (July 11) is Blueberry Muffin Day? I don't care if it's an American food holiday - blueberry muffins deserve a celebration! Blueberry Muffins are so good, in fact, that they're the official State Muffin of Minnesota. I think it's fair to say they're one of my favourites too! 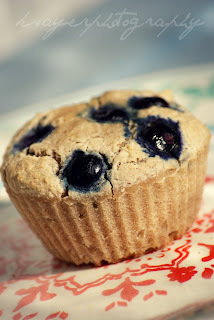 The recipe I'm going to share for you makes slightly different blueberry muffins to what you might be used to - but so much better! 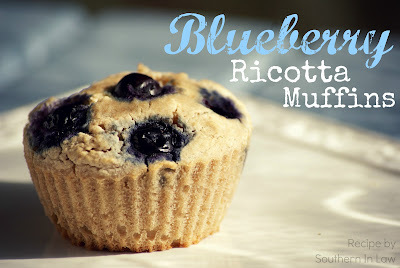 They're light and fluffy and really moist thanks to the ricotta and they also have a delicious vanilla flavour that goes perfectly with the blueberries! They're the perfect muffins for snacks and desserts and would be a perfect addition to any tea party. These delicious blueberry muffins are also low in fat, eggless and can be gluten free or easily made with regular flour. In a medium bowl mix together applesauce, ricotta, vanilla and sugar until combined. Pour wet mixture into the dry ingredients, adding enough water/milk to combine if needed. 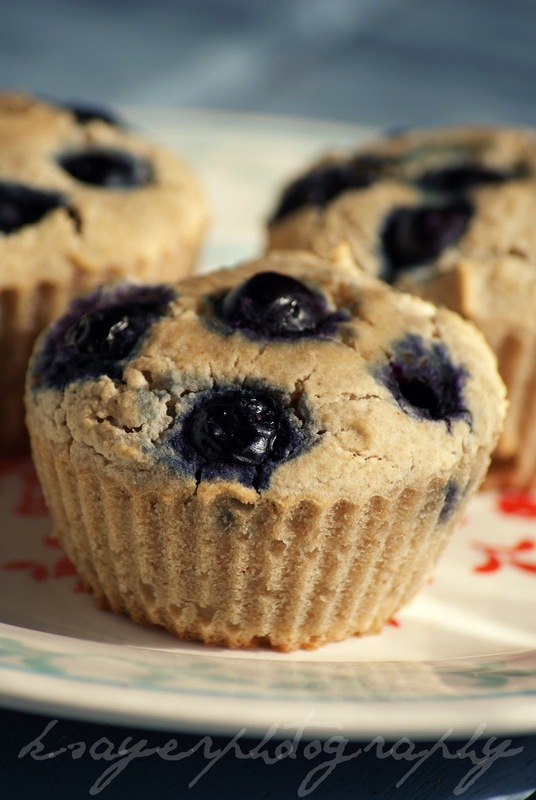 Fold in blueberries and spoon batter into muffin cups. Bake for 15-20 minutes or until a skewer inserted removes clean. Note: I've tried this recipe with full fat and low fat (2%) ricotta, but never fat free ricotta - so I can't vouch for how well fat free ricotta would work! So tell me - what's your favourite type of muffin? 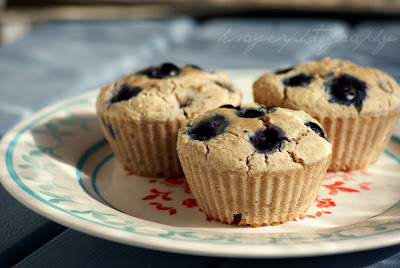 I'm partial to a traditional blueberry muffin, though lately my cinnamon roll muffins have taken top spot - I'm addicted!